A UCLA graduate and recipient of a California Arts Council Fellow in Literature and New Letters Literary Award, she has had her poetry published in Scream When you Burn, Grand Passion, Calyx, Catch the Fire, and the newly released, Voices from Leimert Park. Pam operates her own graphic design studio, Ward Graphics as well as runs her own publishing house, Short Dress Press. Her first novel, Want Some, Get Some, comes out on Kensington Books, February 2007. Pam has edited five anthologies including, Picasso’s Mistress, What the Body Remembers, and The Supergirls Handbook: A Survival Guide. She has had short stories printed in The Best American Erotica, Men We Cherish, and Gynomite. 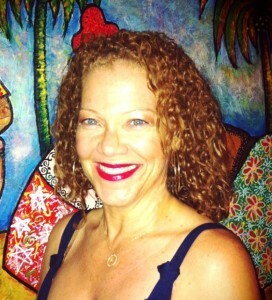 As an artist-in-resident for the City of Los Angeles and the City of Manhattan Beach, Pam also served as a board member for Beyond Baroque Literary Arts Foundation and has worked for many community arts and social/health organizations, including Black Women for Wellness, Summit on Gang Violence and Art Center College of Design. Currently, Pam Ward is working on her third novel, Between Good Men & No Man at All.